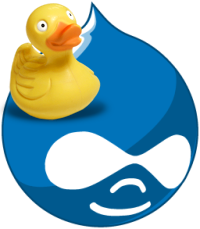 Situation: you developed a nice website with drupal on one of your local boxes and you want to clone this literally to a new staging host.This can be as simple as using ftp (all of your drupal source files, including modified themes, extra modules and uploaded files). Then use phpMyAdmin or a similar tool to dump and restore the corresponding drupal database. Now you fire up your web browser, and there is that disappointment: you see just an empty, white page, not even single error message! Luckily, the solution is rather simple: use your admin tool to entirely clean (truncate) the cache_menu table from your cloned database. Maybe you should truncate the other cache tables as well, that won’t hurt in any case. The next reload will show you the staged web site in all its glory! Another small catch to be aware of: if you’re using “Clean URLs” and are depending on a .htaccess file, this might not get copied by FTP if you’re using a visual tool (e.g. Cyberduck for Mac OS-X). In that case, the simplest solution may be to create a new .htaccess file remotely (in Cyberduck: right click and choose “new file” from the context menu). Now edit this file over ftp (Cyberduck: right click on file and choose “edit in => TextWrangler” – or similar). Just copy and paste the contents of your local .htaccess file, save and you’re ready to go. truncate menu_cache. Excellent tip! You saved my day! Tomorrow, April 5th, is acclaimed Annual CSS Naked Day by Webdeveloper Dustin Diaz of Yahoo! Funny to see all those nicely designed websites start to look like the old days of HTML 1.0 and the Mosaic web browser. Strange that most of us need to do our utmost best to live up to this challenge, to make our well designed sites look at least reasonable without any style applied. For me, it is good to experience that following web standards pays off, even in this weird challenge. In my case I already had positioned my navigation and other non-content stuff absolutely. Now I had a good reason to move this below the page content in the HTML source. Not only makes this the CSS Naked look neat (relatively spoken), but it also benefits the loading time before the actual content is readable, with CSS applied. I just replaced my CSS stylesheet by an empty one to accommodate the Aussies’ time zone. By tomorrow night all will be back to normal (with slightly improved loading time!). BTW, there’s some leftovers of in-line style, e.g. for the relative size of links in my tag cloud. This trick does not work for Safari/OS-X.